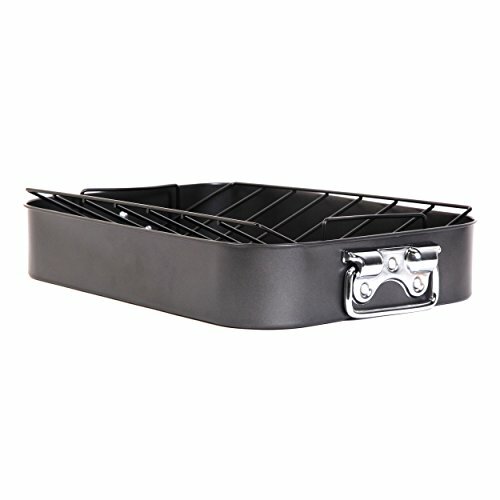 Gibson Home's Top Roast Non-Stick Roaster includes a 16-inch by 12-inch by 3-inch Roaster and a metal rack. Silver Handles provide an easy grip and roaster is presented in a handsome silver color. Carbon steel construction is strong and durable. Non-stick interior is perfect for low-fat cooking and is easy to clean. Hand wash is recommended. A great value for an appealing and convenient roasting pan.